Fives is a partner of choice for the optimization and development of your means of production. Expert in conception and integration of automated and robotic means, Fives is committed to assisting you in the operation and evolution of your equipment. 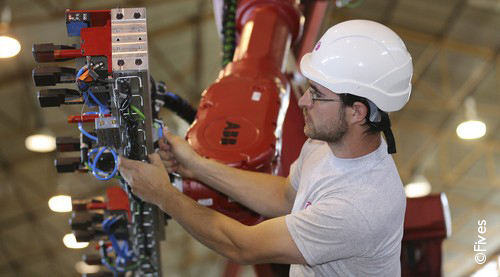 Fives’ Automation business line accompanies customers during their projects and beyond product delivery. Fives assists its customers in maximizing the performance all along the lifecycle of their equipment by providing a wide range of services with a dedicated team of experts, worldwide. 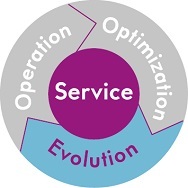 With a vision to be the industry leader in rebuilding, retooling, and redeployment of engineered solutions, Fives’ service offer, with on-site support, is driven by innovative thinking, teamwork, and cost effective solutions. Fives supports you in the exploitation of your means of production by preventive and curative operations. 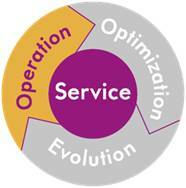 Fives provides experts to help you to improve the overall performance of your processes. Fives ensures the sustainability of your installations thanks to evolutions in line with your new needs.